When The X-Files returned for its six-episode Season 10 in 2016, one key agent was MIA: Robert Patrick's Agent John Doggett. Patrick, who joined the Fox drama for the final two seasons of its original run, is currently a series regular on CBS's Scorpion, but the actor admits he would be game to pop back up on his former show. “I haven’t heard from [The X-Files creator] Chris [Carter], but I am totally willing to go back if I think it’s the right thing to do and if they want me to do it," he says. "But at this point, no one has asked me anything; I would certainly be interested. But I’m always the last to know with this kind of stuff." Though the opening credits teased that 'This is the End,' Chris Carter believes we have not see the last of Mulder and Scully. In the original series finale, Doggett and his partner Reyes (Annabeth Gish) helped Mulder (David Duchovny) and Scully (Gillian Anderson) go into hiding, in the aftermath of Mulder receiving a death sentence for his "crimes." However, in the revival, Reyes was seemingly aligned with series Big Bad Cigarette-Smoking Man (William B. Davis), and Doggett was nowhere to be found. As of now, only Duchovny, Anderson, and Mitch Pileggi (A.D. Skinner) are confirmed to appear in the ten-episode Season 11.
Who saved Cigarette Burning Man? Will a cure be found in time to stop the outbreak? 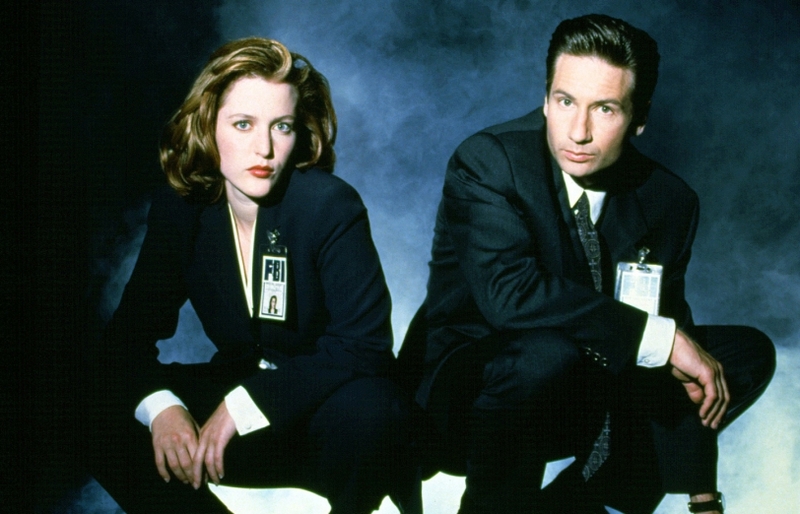 And more of our biggest (remaining) questions about The X-Files revival.